Many businesses and social enterprises have described in conversations on my business radio programme how they have used crowdfunding to test their market, reach customers, or access finance to build their business. But if you’re a business advisor and your clients are asking you about access to finance and how to run a successful crowdfund, where do you signpost people to? 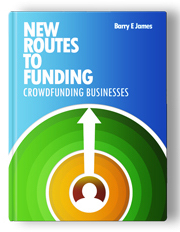 Author and crowdfunding expert, Barry James (with whom I’ve worked on other projects) joined me on the radio this week to talk about a new book (New Routes to Funding) he’s publishing to meet the need for high quality, expert advice about crowdfunding, tailored not only to startups but to mentors and business advisors. You can listen to the interview with Barry on the radio show podcast, below, and get a sneak peak of some of the new book’s content in the programme (and you can get his book here). Barry explains how different types of crowdfunding work, and how the process of crowdfunding can unlock investment for businesses from other sources. 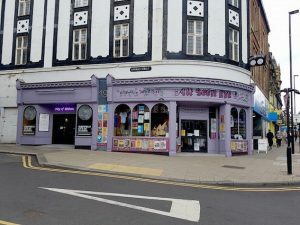 Showcasing local events, music, artists and other “interesting stuff” and sitting alongside the Year of the Makers/City of Makers Gallery, Alt Seen Eye opened earlier this year and is a thriving example of independent retail, ‘meanwhile use’ of space, and collaboration between independent businesses. Nicole explains how it got up and running, and gives some tips and advice based on her experience here and in other retail and music industry roles. Here’s the podcast; timings are below. 42:54 – end wrapping up and news of some forthcoming, free, business information sessions from Business Sheffield. (Music tracks played on live radio and mentioned by guests removed from this podcast but you can access them for 6 weeks from the date of this show on the Sheffield Live website – here is the Business Live page). More about the Business Live radio show. Also mentioned by the guests in today’s programme: Sleep Cogni, Renew Sheffield, Voluntary Action Sheffield, CADS, Union St.